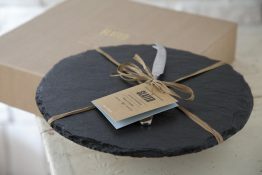 Just like slate steel is a material primarily used in construction and we wanted to capture it’s beauty for the home. 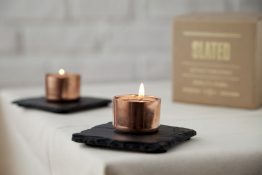 Part of Slated’s Steel and Slate collection the gorgeous Trio Candle Holder combines the strength and durability of steel with the natural coolness of slate to create the perfect pairing of materials and the ultimate luxury accessory for your home. Each steel votive is finished with a smooth finish that creates a beautiful glow when lit and when combined with slate creates an industrial feel and strong clean look. 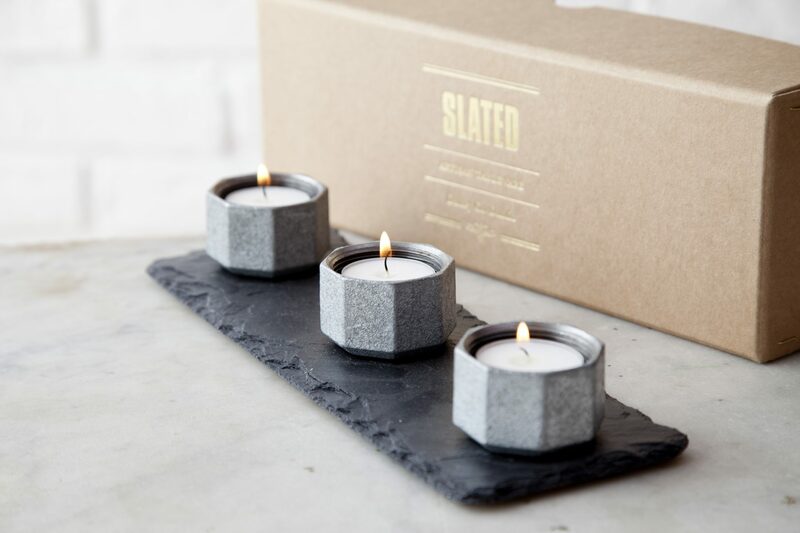 The Slated Trio Candle Holder will add a dash of style to any room in your home and features three striking steel tea light holders fixed to a rectangular hand cut piece of slate for maximum impact in your home. 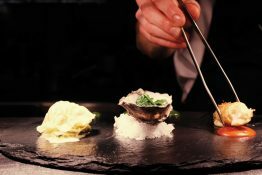 All our slate pieces are cut by hand with a 150 year old slaters knife by Ed Hammond in our Dublin studio, meaning each piece is completely unique. 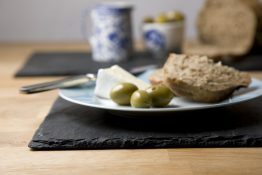 Our beautiful natural slate pieces all have their own individually textured surface being uniquely ridged or veined and are backed with felt feet to protect surfaces. Fantastic Gift I gave one of these as a gift recently and it was very well received. I almost wished I'd kept it for myself!